Capture that charming country feeling with the Winter Bird Flyer, expressing the silent splendor of snow falling on rolling hills and still, bare-branched trees, while birds and berries add color to the sparse landscape. 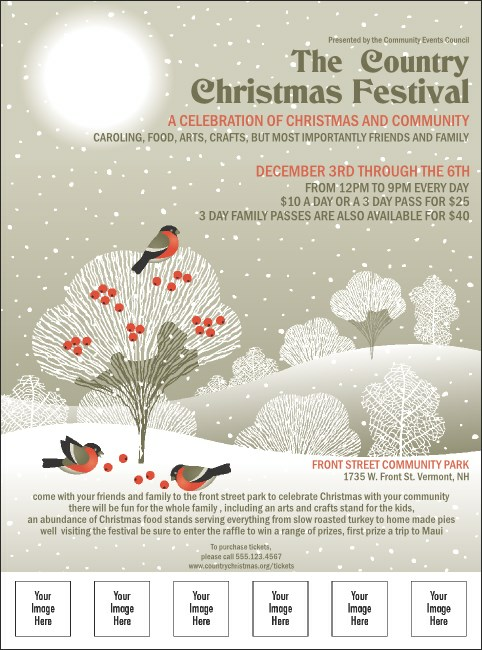 Add six of your own logos or images to the bottom of this peaceful, seasonal Flyer. Kindle a fire in your heart with warm-hearted design from TicketPrinting.com.